I think this is my favorite... 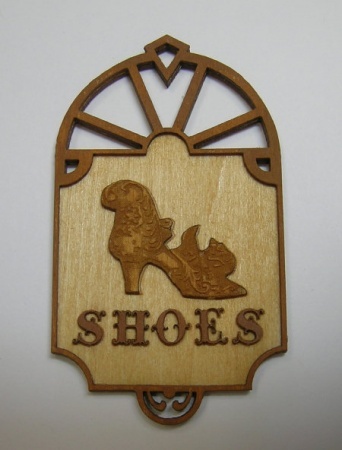 Darling fretwork shape and a highly carved antique shoe combine to make this just the cutest sign around! Measures 2 3/4 " high by 1 5/8 across.